Last week the second graders made their own Macy’s Thanksgiving Day Parade. 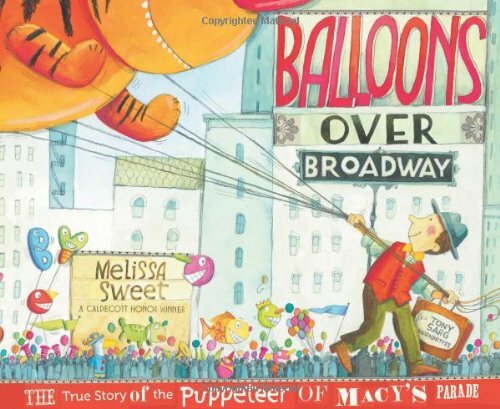 It started with Melissa Sweet’s Balloons Over Broadway. This book tells the story of Tony Sarg who created the balloons for Macy’s parade in the 1920s. This book also happens to be a Nutmeg Book Award Nominee. I had been planning on reading it to my second graders the two weeks before Thanksgiving break to use it as springboard for the Inquiry Process. I would read the book, model how I connected with something from the text, write down all I know about my topic, and then create a wonder: So for example, if the pictures were what intrigued me, I would write down all that I noticed about the pictures and what it was specifically that intrigued me, then I might wonder how exactly Melissa Sweet made the pictures. 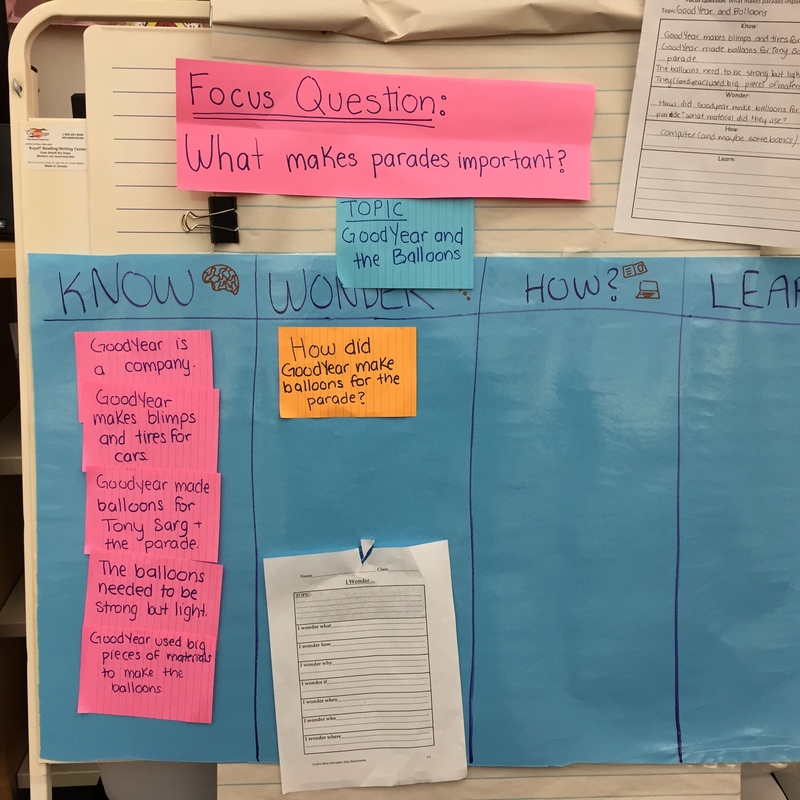 From there I would decide how I was going to find my information (I and the students were using KWHL charts during the process - Know, Wonder, How, and Learn). I might decide that I think I could use books to find information to this question, or maybe a website. I might be even more specific and say that I wanted to look at Melissa Sweet's website. The students could then connect and wonder to something they found in the book: I was planning to be pretty relaxed about this: In the beginning of the year we had read The Boy Who Harnessed the Wind, another Nutmeg Nominee, and I had them connect to the text. Then we did a project researching Veteran's Day, which was a lesson series that was also teaching how to use a KWHL chart. Since I had limited the students topics in the past, I wanted to give them the opportunity to explore something a little more openly. Then the librarian and a second grade teacher (who also happens to be my awesome mentor) had a fabulous idea: what if as an Integrated Arts project, the students created their own parade? Integrated Arts are periods my school has where a teacher, or a group of teachers, works together to collaboratively plan a STEAM project with the specials teachers. Working together with the whole second grade team of teachers and all of the specialists, we decided our focus should be on What makes parades important? We would take the Monday and Tuesday before Thanksgiving break for the students to plan, design, and create their parade, then Wednesday morning the parade would begin. Boom. Lesson trajectory changed. Since I was already planning on reading the book in the library, I decided to change my lessons to really focus on parades and made the focus my essential question. This way, the students would be given a chance to gain background knowledge and a chance to explore the area of parades that was most interesting to them, whether it be building the balloons, the music, the dancers, the people behind the scenes, Tony Sarg himself, whatever from the book drew their attention. In the second lesson, students were to decide How they were going to find their answers, then they researched to Learn. We brainstormed different ways we could find our answers:books, the library catalog, websites, PebbleGo, BrainPop Jr. I quickly reminded them of and modeled how to use the catalog and where to find the call number, then showed them an awesome website the librarian had put together with loads of information all on Balloons Over Broadway. 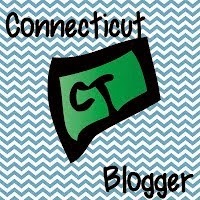 This LibGuides site has information on how to create the balloons, the history of the parade, dancers, and pictures from a teacher in the school who had been in the parade. 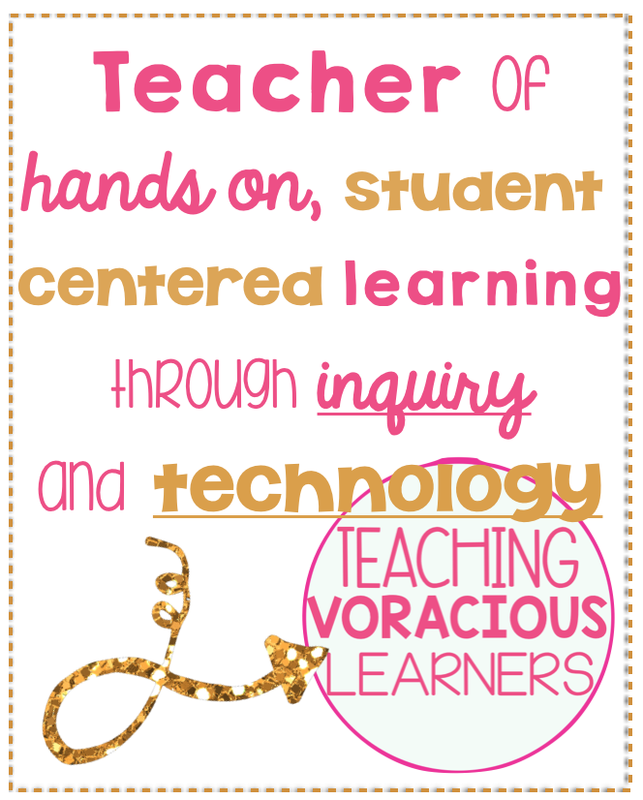 A seriously awesome resource for the kiddos to explore. Then came Monday: time to start making the parade. Honestly, I was a little nervous going into the project: Would the students really be able to create a parade in two days - minus specials, lunch and recess? The students were divided into groups based on their interests: we had builders, dancers, musicians, advertisements, announcers and interviewers. Monday I helped out with the dancers. I was surprised by the collaboration between the students, the engagement and the willingness to keep at it - they repeated, practiced, and reflected on the dance steps until they felt like it was just right! The second day I helped out with the builders - WOW! I say helped out, but honestly most groups were putting their finishing touches on their floats by this point. I was majorly impressed by the students persistence and problem solving. (Unfortunately I didn't take any pictures of the individual floats. And I don't feel comfortable sharing pictures of floats with the students in them since they and their parents don't know I'm sharing them here! But take it from me: they were truly AWESOME floats: Big, elaborate, mobile). Wednesday morning arrived. The snow held off. The parade was scheduled to start at 9. The parade route was to come through the library and chairs were set up for parents to sit in. I was expecting maybe 20 parents to come and was worried we didn't have enough seats. There were WAY more than 20 parents (did I also mentioned that parents donated a lot of the supplies that were used to build the floats?)! The parade went without a hitch. I was filiming the parade for Livestream and while that was definitely a learning process (first time Livestreaming an event - some nerves came with it! ), the students did an awesome job the whole time. I think writing this what struck me is how their were SO many little pieces that came together to make the parade a reality. If I just been reading the book in my classes, the parade wouldn't have happened. If the librarian and original teacher had decided to put on the parade, but the other teachers weren't on board, it would have been a lot smaller. If the parents hadn't been so generous in donating all the supplies, the floats wouldn't have been as magnificent. If the specials teachers didn't pitch in to help, it wouldn't have run so smoothly or had as many awesome ideas. Our theme this year in our district is "Collaboration: Together We Can" and while you might think 'Oh what a nice sentiment', when you actually see collaboration like this on a large scale, it makes you realize how much CAN get done when everyone pitches in with ideas, supplies, and plain old work and time.